The New York Times bestselling author of the Oprah Book Club Pick Cane River brings us the evocative story of a once-enslaved man who buys his freedom after serving as a translator during the American Indian Wars, and his granddaughter, who sustains his legacy of courage. Cow Tom, born into slavery in Alabama in 1810 and sold to a Creek Indian chief before his tenth birthday, possessed an extraordinary gift: the ability to master languages. As the new country developed westward, and Indians, settlers, and blacks came into constant contact, Cow Tom became a key translator for his Creek master and was hired out to US military generals. His talent earned him money—but would it also grant him freedom? And what would become of him and his family in the aftermath of the Civil War and the Indian Removal westward? Cow Tom’s legacy lives on—especially in the courageous spirit of his granddaughter Rose. She rises to leadership of the family as they struggle against political and societal hostility intent on keeping blacks and Indians oppressed. But through it all, her grandfather’s indelible mark of courage inspires her—in mind, in spirit, and in a family legacy that never dies. This reading group guide for Citizen’s Creek includes an introduction, discussion questions, and ideas for enhancing your book club. The suggested questions are intended to help your reading group find new and interesting angles and topics for your discussion. We hope that these ideas will enrich your conversation and increase your enjoyment of the book. New York Times bestselling author Lalita Tademy brings a unique and important perspective to the American Dream in her multigenerational family saga Citizens Creek. 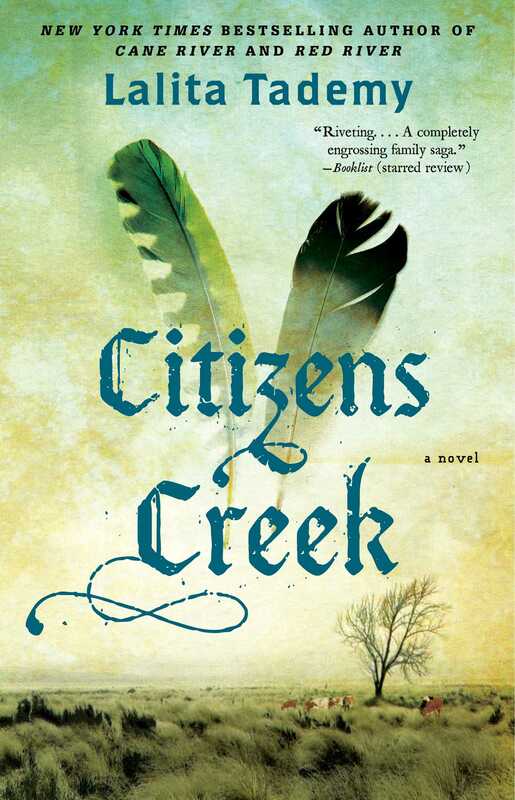 Beginning in 1822 and ending in the early 1900s, Citizens Creek charts one family’s constant, and at times harrowing, struggle for independence, survival, and identity during some of American history’s harshest and uncertain times. The story begins with Cow Tom, property of a stern yet sensible Creek Indian chief. Although a slave, Cow Tom is indispensable to the tribe for his abilities as cattle herder as well as a linguist. When not tending the herd, Cow Tom often translates several dialects for his chief, a skill that lands him with the military as it wages war with the Seminoles throughout the Florida swamps. Despite assurances of a short campaign, Cow Tom spends a year away from his young wife and their daughters. When he finally returns, he brings with him physical and emotional scars that will define him for decades to come, as well as a new family member. Cow Tom moves his family often, dodging disease and raiding parties as the nation tumbles into the Civil War. Through hard work and business savvy, Cow Tom not only buys his family’s freedom, but also quickly prospers on a small ranch and is elevated to a leader among his peers. His pride and convictions even bring him to Washington DC to argue the inequities and duplicitous dealings upon tribal lands. As time begins to take its toll upon Cow Tom, his granddaughter, Rose, carries forward his legacy. Relying on her grandfather’s wisdom yet forging her own identity, Rose establishes herself as a strong, independent woman. As Rose begins reconciling to life as a spinster, along comes rancher Jake Simmons. Ten years younger with high ambitions matched only by his wandering eye, Jake forever tests Rose’s patience and commitment with a series of infidelities both on the trail and under the family’s own roof. Rose’s mettle is continually tested as she manages to raise ten children, maintain a ranch, stay informed of the ever-evolving land laws, and honor a proud family legacy. 1. What was the extent of your knowledge about the relationship between Negroes and Native Americans? What was most interesting and/or surprising to you? How was this slave/owner relationship different than other histories and depictions in books, television, and film? 2. Were you familiar at all with the Trail of Tears? Did Citizens Creek inspire you to do any independent research? How would you describe this episode in American history? 3. In what ways is Cow Tom more than a translator? Is there a scene that you think best illustrates this? Would you consider Cow Tom a leader? 4. Do you think the Seminole Wars were justified? Why or why not? Can you think of any comparable conflicts in American or world history? 5. How did you interpret Cow Tom’s showdown with the Seminole brave? Were Cow Tom’s actions justified? How did his actions impact his life? 6. Pick three adjectives to describe Harry Island. How would you describe his relationship with Cow Tom throughout their lives? In what ways do they change? How do they complement each other? 7. What do you consider the key changes that Cow Tom and his family face when they are all reunited? 8. How would you describe Cow Tom’s attitude toward the Civil War and emancipation? What role does the government play—positive and negative—throughout the story? 9. “Twin” is a powerful force in Rose’s early life. How would you define this relationship? Does it have its positive and negative impacts? Why does Twin’s influence wane? 10. How are Cow Tom and Rose similar? Different? What values do they share? 11. How do you define the Creek view and approach to death? Can you think of any other cultures that follow similar rituals? 12. In what ways are Jake and Rose a good match? Were you surprised at the pairing and courtship? What was your reaction to Jake’s actions? Why do you think Rose tolerated them and, by extension, him? 13. Is Rose a good mother? What traits do the women of this family share? 14. What role do traditions play in the family? In the Creek tribe? 15. Did reading the author’s afterword help you better contextualize the story? Did it change your feelings toward the book at all? 1. Visit a local historical society with your book group to learn about your area’s history during the time period when Citizens Creek is set. Ask about tribes, slavery, pre– and post–Civil War changes, land expansion, farming, and any other theme or point of interest from Citizens Creek. 2. Traditions and customs are a recurring theme in Citizens Creek. Share a family tradition of your own with the members of your book group and then share a tradition you would like to start. 3. Pick a character from the book and write a one-page epilogue for him or her, or discuss in your book group where you see this character going. 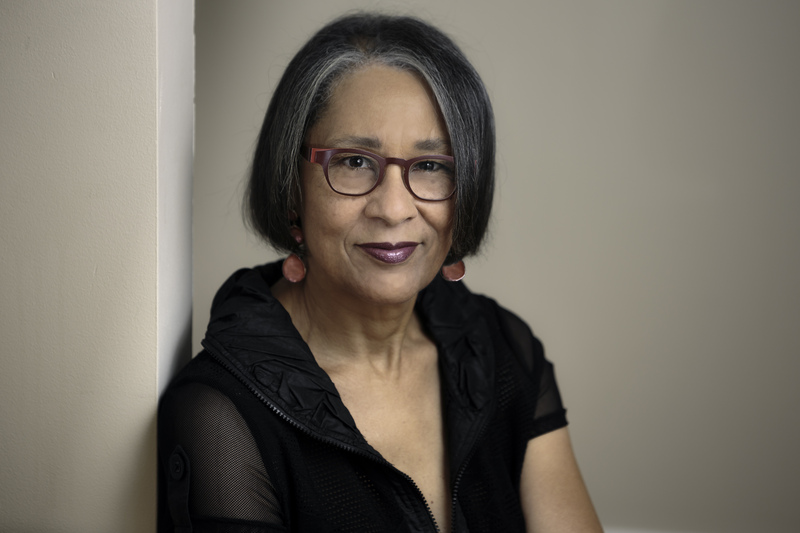 Lalita Tademy is the author Cane River, a New York Times bestselling novel and the 2001 Oprah Book Club Summer Selection, and its critically acclaimed sequel Red River. She lives in Northern California. “Tademyoffers a forgotten trail of American history to find an intriguing tale oflove, family and perseverance, in the struggles of proud African Creeks."